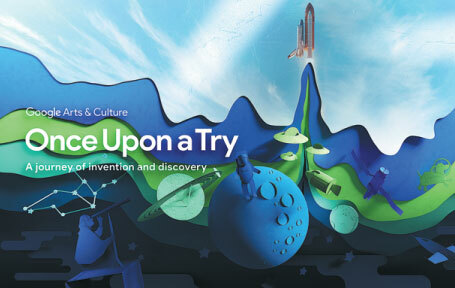 A poster of an online exhibition named Once Upon a Try, which celebrates humanity's great inventions and discoveries. 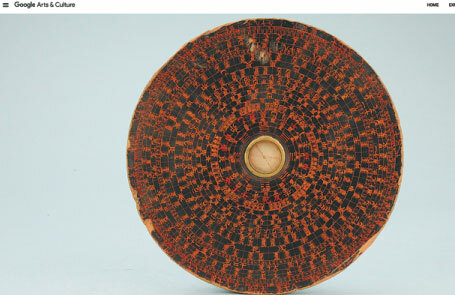 A compass housed in the Sichuan Museum in Chengdu is one of the items exhibited on the Google website. Other highlighted exhibits from China include a set of stone drums housed in the Palace Museum that date back to the Qin state during the Warring States period. These treasures are inscribed with the earliest known Chinese texts carved in stone and the poetry carved on each of them describe the king of the Qin state's love for hunting and travel, and the beautiful landscapes of the time.